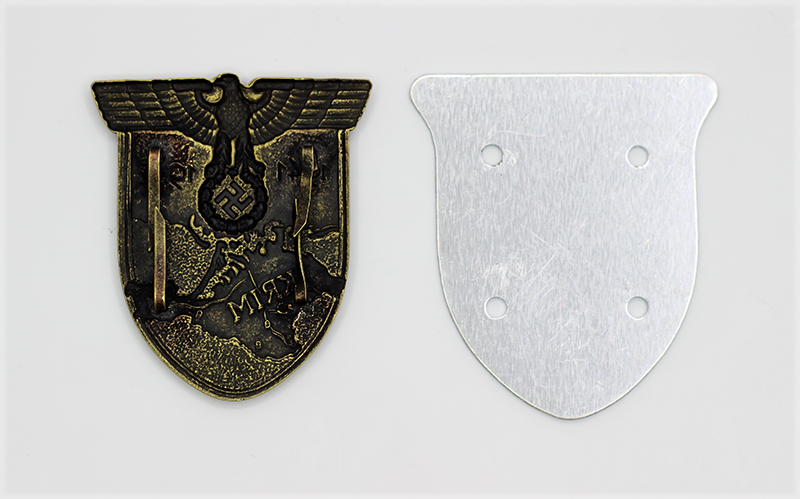 Get the best Krimschild Shield on the market at the best price,price includes shipping. 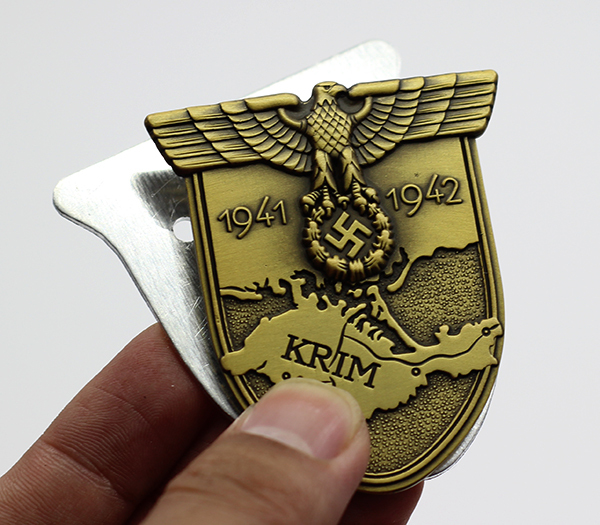 The Krimschild Shield was instituted on the 25th July 1942 and awarded to military personnel under the command of Generalfeldmarschall Erich von Manstein who fought against Soviet Russian forces and captured the Crimea region (Krim) between 21 September 1941 and 4 July 1942. 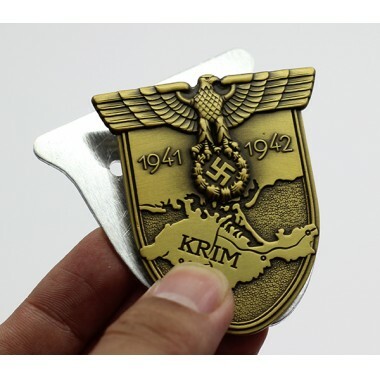 It was also awarded to soldiers of the Romanian Armed Forces. 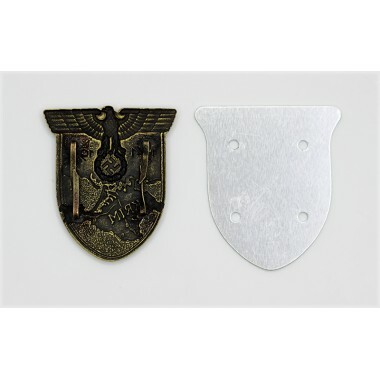 The shield was worn on the upper left arm of the recipients uniform.